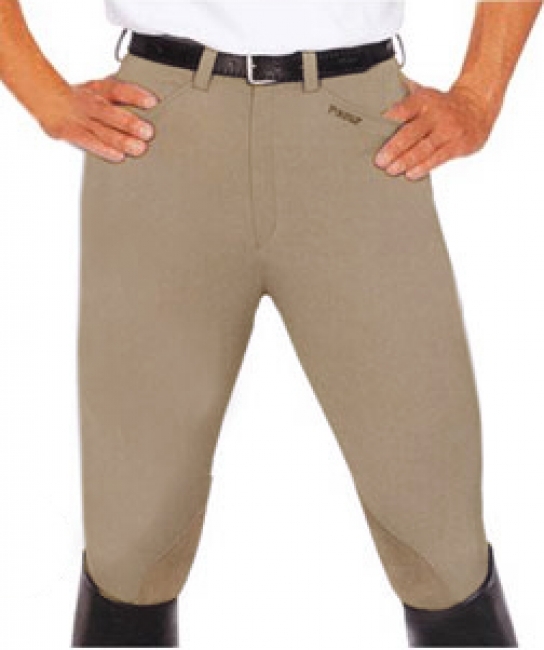 Pikeur "Rodrigo" contour fit men’s breeches with knee patches have with two angled front pockets and two back pockets with flaps and wide belt loops. This is a quality men’s show breech made from the exclusive Pikeur fabric, Prestige-Micro Plus 2000 made by Scholler. The multi-stretch riding breech is breathable, shape retentive, quick drying and durable. The Pikeur breech, named after Rodrigo Pessoa, gives you the freedom of movement and polished look you need to compete in equitation and jumper classes. 64% cotton, 29% polyamid, 7% Lycra.